PhotoSpin Pro organizes textures into Groups. 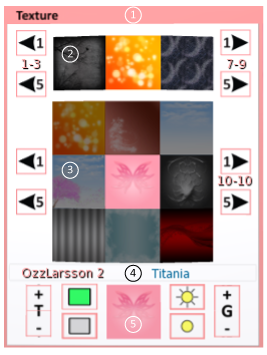 For information on how to organize the textures in your PhotoSpin Pro, please refer to the Organizing Textures section. The Green Screen feature in PhotoSpin Pro provides an efficient method for placing a green screen on the backdrop, and then restoring the previously used texture and settings. If you work in Photoshop, this greatly simplifies the task of creating separate layers for the foreground subject and the background in order to make adjustments or apply effects such as shadows. Click the Active Texture button (bottom center of the Texture Panel) to restore the previously used texture and settings. PhotoSpin Pro retains in memory the previously used texture as well as any tile, brightness, glow, and colour settings, and restores all of these on the backdrop. Edit the PhotoSpin Pro Backdrop, and open the Content tab. 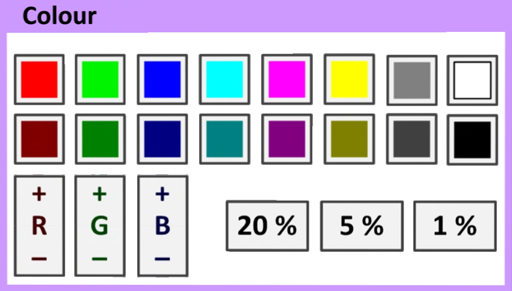 Do not change or delete any text other than the RGB values. Doing so will cause the PhotoSpin Pro to malfunction.